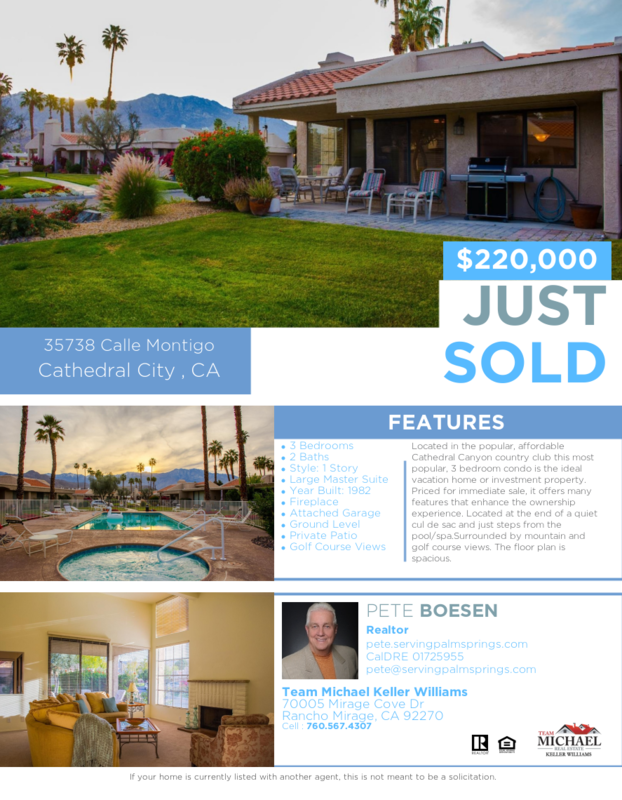 Just Sold in Cathedral City, represented Sellers! 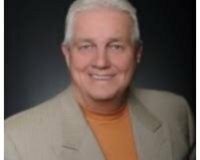 We are proud to have handled this agent to agent referral from Canadian Agent! This most popular, 3 bedroom condo in Cathedral Canyon country club is the ideal vacation home or investment property. Priced for immediate sale, it offers many features that enhance the ownership experience. Located at the end of a quiet cul de sac and just steps from the pool/spa.Surrounded by mountain and golf course views. The floor plan is spacious and features a large master suite with gorgeous master bath that opens to a private patio, the guest bedrooms are spacious one of which that could easily be converted to a den or media room. The atrium has been remodeled to become and efficient office space. The cozy living room features a fireplace of a wonderful conversation area. Our transaction went very smooth. Happy buyer, thanks everyone who worked hard to make this happen!